Courts have started to consider whole life sentences without the possibility of parole to be in breach of the prohibition on inhuman and degrading punishment. But what about ordinary prison sentences? In the fourth blog in our anniversary series, Dr Mary Rogan, Head of Law at Dublin Institute of Technology and Chair of the Irish Penal Reform Trust, explores some significant recent court decisions and the potential of the concept of gross disproportionality to be a powerful tool to resist the overuse of imprisonment and penal excess worldwide. One of the central drivers in the growth of prison populations is the length of sentences, whether dictated by legislative imperatives or judicial practice. Addressing sentence length is therefore a key mechanism which can be employed to reduce the amount, and consequent harms, of imprisonment. However, as well as the length of sentences, the use of the sanction of imprisonment at all in many cases is arguably disproportionate, especially when the offence involved is minor. There is much greater potential for the use of the concept of proportionality by judges in resisting the overuse of imprisonment than has been realised to date. The concept of proportionality has been grounded in human dignity, but also in the right to liberty. The United Nations Working Group on Arbitrary Detention has argued, for example, that the right to liberty requires that States should have recourse to the deprivation of liberty only insofar as it is necessary to meet a pressing societal need and in a manner proportionate to that need. 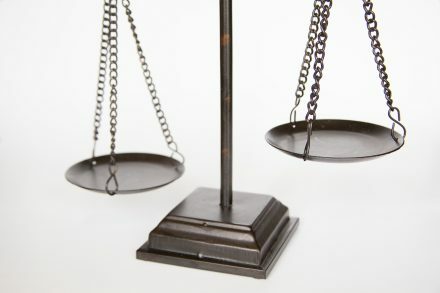 Many countries have developed the concept of proportionality as one of the key principles of sentencing, based on the premise that, to be just, a sentence must be of a length and type which fits the crime, and the circumstances of the offender. The concept of proportionality has been recognised by the European Court of Human Rights in Harkins and Edwards v. the United Kingdomand Rrapo v. Albania as constituting an essential part of human dignity, and “grossly disproportionate” sentences can be found to breach Article 3 of the European Convention on Human Rights. Proportionality in sentencing has constitutional status in Canada (R v. Smith (Edward Dewey)  1 SCR 1045), and Ireland (see the discussion in Whelan and Lynch v. Minister for Justice, Equality and Law Reform). While this is so, the concept of proportionality has tended to be invoked only in the case of very long sentences. For example, as with many courts, the European Court of Human Rights has proven itself reluctant to find breaches of Article 3 of the European Convention on Human Rights on the grounds of the length of a sentence, save for extreme cases. The Court has repeatedly emphasised that the test of “gross disproportionality” is strict, and will only be met on rare and unique occasions. The Court’s restraint is partly due to its reluctance to be seen to be interfering in a state’s choice of sentencing. This cautious approach shows some tentative signs of softening, however. In 2012 the Court decided in Babar Ahmad and others v. the United Kingdom that a mandatory sentence of life without parole in the context of an extradition request would be more likely to be grossly disproportionate than another type of life sentence, though it was not per se in breach of the Convention. Recent decisions of the Court concerning irreducible sentences also indicate a tougher line may be taken with states on very long sentencing. In Vinter v. United Kingdomthe Court clearly established that whole life sentences require the opportunity for review at least at the twenty five year point. The need for review has been reiterated in Laszlo Magyar v. Hungary. However, in neither case was gross disproportionality argued. While proportionality was not central to the decision in Vinter the other findings of the Court with regard to reviewability may establish some clues as to when a sentence may be found to be grossly disproportionate. The Grand Chamber has established clearly that there must be some realistic prospect of release, even for offenders who merit a whole-life tariff. Crucially, the Court in Vinter treated these sentences as a category, finding that in all such cases a review is necessary, regardless of the circumstances of the offence. This constitutes a subtle, but important, move away from the Court’s willingness to consider that life without parole or whole life sentences are not necessarily in breach of the Convention. It seems likely that a future applicant will argue that Vinter means that such a sentence cannot comply with the Convention. There are also signs that other courts are becoming more willing to find that very long sentences violate human dignity. The Supreme Court of the United States has also moved against mandatory sentences of life without parole (LWOP), finding them to be a form of ‘cruel and unusual’ punishment, though thus far only in the case of juveniles (Graham v. FloridaandMiller v. Alabama). While the US Supreme Court and the European Court of Human Rights have taken issue in different ways with sentences lasting the duration of an individual’s life, sentences short of these extremes have yet to give rise to similar decisions, or indeed similar levels of discussion. Whole life orders or LWOP sentences affect a small minority of prisoners. Penal excess has its roots in such sentences, but also in the overuse of imprisonment generally. The potential for the concept of proportionality to be invoked in lesser sentences, including those of a few weeks or months of imprisonment, has yet to be realised. The unnecessary use of imprisonment for minor offences, or indeed for individuals upon whom the impact of imprisonment is disproportionately severe, could be tackled by means of the proportionality doctrine. Thus far, the European Court of Human Rights has focused on proportionality as an aspect of the protection of human dignity. van Zyl Smit and Snacken have put forward the innovative idea that the right to liberty under Article 5 could be used by the European Court to examine a choice of a particular type of punishment or measure, and to examine the balance of their severity. They point out that balancing forms of intervention is a well-established mechanism for examining compliance with Articles 8 to 11. This also raises the interesting prospect of courts reducing the number of years’ imprisonment imposed upon a person because the prison conditions that person would endure would be especially severe. In Ireland, the Court of Criminal Appeal has recognised that a more lenient sentence may be appropriate for a foreign person facing imprisonment in Ireland given that the experience of imprisonment will be more difficult (DPP v. Whitehead , Court of Criminal Appeal, October 20 2008). The Supreme Court of Israel has also held that a transgender man would face solitary confinement in prison, and therefore reduced the sentence imposed. There is still some way to go before the European Court of Human Rights adopts this approach. The sensitivity of sentencing choices, and perhaps concerns about the implications of Vinter politically, are likely to restrain the Court from going further, and the situations in which a sentence will be found to be grossly disproportionate will continue to be rare. This reluctance may be understandable, but wide discrepancies in how states respond to crime raise concerns about equality of treatment. The need for proportionality in sentencing and its status as a principle guaranteed by human rights law should give rise to questions other than when a very long sentence violates a person’s dignity. It should provoke analysis as to whether less restrictive alternatives than imprisonment should be used as responses to offending, if they achieve desired ends of sentencing. It should cause us to question whether the rights to liberty and to dignity are being protected adequately in every instance where there is a deprivation of a person’s liberty. A bolder and braver use of the concept of gross disproportionality, by courts across the world, to all forms of sentences of imprisonment could provide a powerful tool to resist the overuse of imprisonment and penal excess. Accessing a report of this judgment requires a subscription. Dr Mary Rogan is the Head of Law at Dublin Institute of Technology and a practising barrister. She writes on prison law and prisoners’ rights, the politics of punishment, and penal policymaking. She is the Chairperson of the Irish Penal Reform Trust, Ireland’s leading NGO campaigning for progressive penal reform. She is the author of Prison Policy in Ireland: Politics, penal-welfarism and political imprisonment (Routledge, 2011) and Prison Law (Bloomsbury, 2014). Mary is a representative of Ireland on the International Penal and Penitentiary Foundation. This blog is based on a current research project, funded by the Irish Research Council, on how judges conceive of prisoners’ rights and how human rights norms impact on penal practices in comparative perspective. As part of this work Mary is a visiting fellow at the British Institute of International and Comparative Law, London.